I have questions about the “maximum safe withdrawal rate,” or the 4% rule. 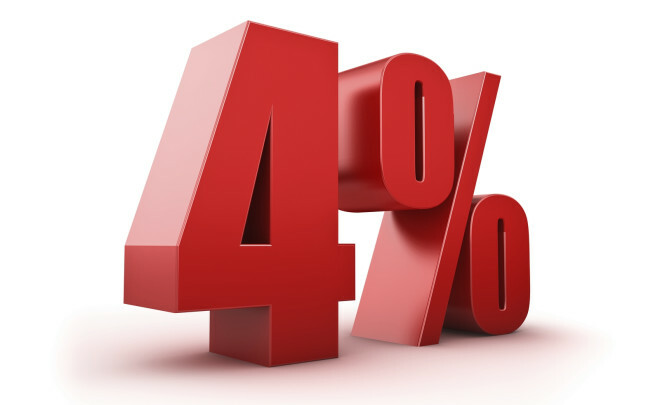 If you’re withdrawing the money from an IRA, do you factor in your marginal tax rate to arrive at the 4% withdrawal? And how do you adjust withdrawals in reaction to strong or weak investment results? The 4% rule is probably the best-known strategy for turning money in IRAs, 401(k)s and other retirement accounts into income you can count on for life. Despite all that’s been written about it over the years, however, many people still aren’t completely clear about how this rule works. 1. The basics of the rule are pretty simple, but they’re still sometimes misunderstood. Many people mistakenly believe that to follow the 4% rule you simply withdraw 4% of your nest egg’s value each year throughout retirement. Not so. You withdraw 4% of the total value of your nest egg, whatever type of account or accounts your savings may be in, the first year of retirement. Then you increase the dollar value of all subsequent annual withdrawals by the inflation rate to maintain your purchasing power. So, for example, if you have total retirement savings of $1 million and inflation is running at 2% a year, you would withdraw $40,000, or 4% of your $1 million, the first year of retirement, $40,800 the second year, $41,600 the third, $42,450 the fourth, and so forth. Following the 4% rule doesn’t guarantee that you won’t run out of money. But sticking to this schedule of withdrawals should provide a reasonable level of assurance that your nest egg will last at least 30 years, which, as this longevity calculator shows, is about how long you should plan for your money to support you in retirement given today’s long lifespans. I’m often asked whether dividends and capital-gains distributions that are paid in cash, as opposed to re-invested, should be included in calculating the withdrawal. The answer is yes. For example, if you plan to withdraw $40,000 in a given year and you will receive $15,000 in dividends or capital gains distributions in cash, then you would draw only $25,000 from your nest egg, so that the combination of dividends, distributions and the withdrawal gets you to your $40,000 target. As for your question of whether your tax rate should play a role in calculating the withdrawal rate, the answer is no. Here’s why: Let’s say you withdraw 4% of your nest egg’s value, or $40,000. Whatever you may end up paying in taxes on that amount (or not paying if you’re withdrawing from a Roth account), doesn’t change the fact that the value of your nest egg has dropped by $40,000. And it’s the change in your nest egg’s value over time, not how much you end up with in spending cash after paying taxes on a withdrawal, that determines how long your savings will last. Of course, you could compensate for taxes by increasing the amount you withdraw. For example, if you’re pulling money from a traditional IRA and you’re being taxed at the new federal 24% tax rate, you could withdraw roughly $52,600 so you’d end up with $40,000 after taxes. But then you would have increased your withdrawal rate to almost 5.3%, and a higher withdrawal rate would increase your chances of depleting your nest egg prematurely. So you should think of the 4% rule only as a way to estimate how much you can withdraw from your nest egg if you want your savings to last throughout retirement. The rule isn’t meant to ensure you’ll have enough income to live on. Depending on the size of your nest egg and other resources, a 4% withdrawal rate could be just right for your needs, fall short of them or generate more income than you actually require. For example, David Blanchett of Morningstar and Wade Pfau and Michael Finke of The American College of Financial Services have suggested that retirees who don’t want to outlive their savings may need to scale back their initial withdrawal rate to 3% or so. Similarly, Newfound Research managing director Justin Sibears has warned in more recent research that to the extent the huge run-up in stock values of recent years leads to modest investment returns in the years ahead, retirees may need to go with an initial withdrawal rate of less than 4%. That’s not to say that everyone has written off the 4% rule. In his Nerd’s Eye View blog, financial planner Michael Kitces has pointed out that since the late 1800s there have been a number of times when bond yields have been low and stocks have performed abysmally. Still, Kitces notes that a portfolio invested 60% in stocks and 40% in bonds following the 4% rule has never run out of money over a 30-year period. Indeed, more often than not someone with that asset mix and adhering to the rule would have ended up with more than double the amount they started with after 30 years. Still, absent a way to predict the future path of inflation and the investment markets, it’s impossible to know with absolute certainty that you won’t outlive your savings by employing the 4% rule. Given that inherent uncertainty, I’d say choosing a withdrawal rate comes down to how concerned you are about running through your nest egg too quickly. If you find the possibility of watching your savings balance dwindle in your dotage a terrifying prospect, then you might want to start with a withdrawal rate closer to 3% than 4%. On the other hand, if you have lots of maneuvering room—say, substantial home equity or other resources to fall back on or the ability to scale back your spending without too severely crimping your retirement lifestyle—then you might start with a withdrawal rate of 4%, or even higher. 3. Whether you start with 4% or some other rate, you’ve got to be ready to adjust your withdrawals. It would be nice for budgeting purposes if you could set an inflation-adjusted withdrawal schedule that would guarantee your money will last exactly as long as you do. But that’s not realistic. For one thing, we don’t know how long we’ll live. And even if we did, we still don’t know how the investment markets will perform. So you want to arrive at a balance between spending down your nest egg too quickly (and running out of savings while you’ve still got a lot of living to do) and spending it too slowly (and ending up with a huge retirement stash late in life and regretting you hadn’t spent more freely earlier in retirement). 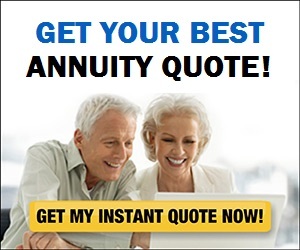 The way to do that is to adjust your withdrawals up or down as you go through retirement. If the market goes on a tear for a few years and your nest egg’s value starts to swell despite withdrawals, then you might want to increase the size of your withdrawals for a few years or treat yourself by taking out some extra dough for an overseas trip or whatever. Conversely, if the market takes a big hit or churns out a series of subpar returns and your nest egg’s value drops precipitously, you might want to skip a couple of inflation increases or even scale back the amount you withdraw. I don’t know of any way to get this balancing act exactly right. Again, there are just too many unknowns—how long you’ll live, how the financial markets will perform, what your retirement expenses will be (with health care costs being a particularly unpredictable wild card). But one possibility is to follow a prescribed system for making adjustments. For example, Vanguard has developed what it refers to as a “dynamic approach to spending” that involves setting an initial level of withdrawals and then allowing each year’s withdrawal to fluctuate within a given range, say, never increasing more than 5% or falling more than 2.5%. I think most retirees are probably capable of managing this sort of process—i.e., starting with a reasonable level of withdrawals and making sensible adjustments as conditions change. But if you find the prospect of doing this daunting—or you just don’t like the idea of doing it on your own—you can always turn to an adviser for help. Walter Updegrave is the editor of RealDealRetirement.com. If you have a question on retirement or investing that you would like Walter to answer online, send it to him at walter@realdealretirement.com. You can follow Walter on Twitter at @RealDealRetire.